What is a Guidant Defibrillator? 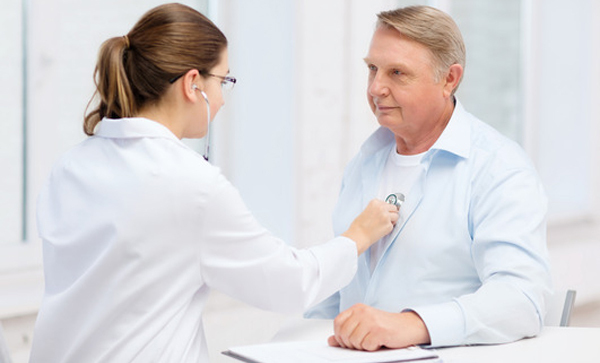 Guidant Defibrillators (also known as a pacemaker) are devices surgically implanted in a person to help control heart fibrillations and are manufactured by Guidant Corporation, which has been acquired by Boston Scientific. They have been used in patients with Ventricular Tachycardia (VT). VT is a form of rapid heartbeat (a fast rhythm) that begins in the lower part of the heart (the ventricles). They are also used to treat Ventricular Fibrillation (VF), which can be caused by VT. VF is an irregular and abnormal heart rhythm in the lower chambers of the heart (the ventricles). The Guidant Defibrillators work by monitoring heart rhythms and applying an electric current /shock to the heart to help restore a normal heart rhythm. In 2005, the U.S. Food and Drug Administration released information regarding a nationwide recall of various Guidant Defibrillator models due to the devices potentially failing and being unable to deliver an electrical current/shock when necessary. Pulsar Max models 1170, 1171, and 1270. Pulsar models 0470, 0870, 0970, 1172, and 1272. Discovery models 1174, 1175, 1273, 1274, and 1275. Meridian models 0476, 0976, 1176, and 1276. Pulsar Max II models 1180, 1181, and 1280. Discovery II models 0481, 0981, 1184, 1186, 1187, 1283, 1284, 1285, and 1286. Virtus Plus II models 1380 and 1480. Intelis II models 1483, 1484, 1485, 1384, 1385, 1349, and 1499. Prizm 2 DR model 1861. Contak Renewal II model H155. Contak Renewal III HE CRT-D model H177, H170, H170, and H175. Vitality II DR ICD model T165. Vitality II VR ICD model T175. Vitality DS DR ICD model T125. Vitality EL DR ICD model T135. What are the Signs that a Guidant Defibrillator Failure? Since 2005, various recalls have been issued for over 73,000 Guidant Defibrillators. Numerous failure events and deaths have been reported. You have experienced an episode of Ventricular Tachycardia. You have experienced an episode of Ventricular Fibrillation. You have fainted due to an irregular heartbeat. You have experienced a heart attack. If you have a Guidant Defibrillator, you may be entitled to receive compensation for past medical expenses, future medical expenses, permanent disability, loss wages, pain and suffering. If a death has occurred, family members may be entitled to compensation in a wrongful death suit. If you or a loved one has suffered complications caused by a Guidant Defibrillator or device failure, do not hesitate to contact our team of medical lawyers for a free consultation. Our lawyers will evaluate your potential case, provide you with all the legal options available and help you obtain any compensation you may be entitled to.